Our journalistic investigation revealed that “economic problems, lack of money and labor migration” are the main factors of the radicalization of some Isfara residents … But some of the accused also said that their religious freedoms were limited in their homeland. Seven members of Nasriddinovs family from the rural jamoat Navgilem of the Isfara district are sentenced to long terms ranging from 12 to 17 years for “an attempt to commit jihad” in Syria. The sentence was announced by Sughd regional court on April 18, 2018. According to the court, 47-year-old Bakhodur Nasriddinov persuaded all of them to go to Syria. He is sentenced to 17 years in prison, his 71-year-old mother Mavlyudakhon Nasriddinova is sentenced to 12 years, her grandson Haydarkhon Nasriddinov and son-in-law Nasrullokhon Abduvaliev are sentenced to 12 years and 6 months in a high-security colony. The daughter of this woman, 19-year-old Farzonakhon Nasriddinova, the wife of Nasrullokhon Abduvaliev, who is 7 months pregnant, is also sentenced to 12 years. In addition, two more relatives of this family, Shokhinakhon and Mushokhirakhon Nurilloevas, are sentenced to 12 years in correctional colonies of general regime. Two more members of this family, 24-year-old Shokhidakhon Nurilloeva and 16-year-old Marifat Nasriddinova, were previously discharged from liability, one due to mental illness and the other due to minor age. According to Sughd regional Court, criminal proceedings were initiated against 28 relatives of this family, who went to Syria. According to relatives, all seven family members refused the services of advocate and fully admitted their guilt and repented of their deeds during the trial. The trial began on April 11, 2018; Judge Firuza Akhmadzoda presided at the trial. 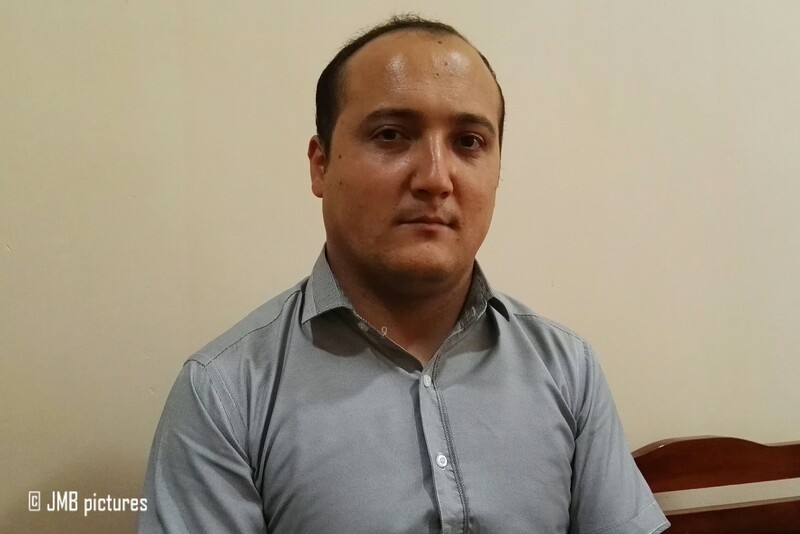 According to the court, Bakhodur Nasriddinov worked as a chief accountant in one of the construction companies in Roghun before attempting to depart to IS (banned in Tajikistan). Investigation reports that during the special operation of the law enforcement agencies of Turkey on the border with Syria at the end of 2017, only a part of this family was arrested. Some of them managed to cross the border and go to Syria. Only one daughter, Zamira Nasriddinova, abstained from traveling to Syria and remained in Isfara. The incident that shocked everyone happened back in 2017. As the court verdict made clear, Bakhodur Nasriddinov recruited his family members to take part in the activities of a terrorist organization in the Arab Republic of Syria. In particular, they were his mother Mavlyuda Nasriddinova, his wife Zuhro Nasriddinova, his sons Nosirkhon and Haydarkhon Nasriddinovs, his daughter-in-law Nisso Samadzoda, his daughters Farzonakhon and Marifat Nasriddinovas, his brothers and other relatives – Nazirkhon Nasriddinov, Ruhsorakhon Nasriddinova, Zokhirkhon Nasriddinov, Shokirkhon Nasriddinov, Umarkhon Nasriddinov, Zaynabkhon Nasriddinova, Kamolkhon Nasriddinov, Tahminakhon Nasriddinova, Malikakhon Nasriddinova, Ayubkhon Nasriddinov, Ismonkhon Nasriddinov, Ominakhon Rahmonzoda, Abdurahmon Nasriddinov, Oishakhon Nasriddinova, Sodirkhon Nasriddinov, Asrorkhon Nasriddinov, Mushokhirakhon, Shokhidakhon and Shohinakhon Nurilloevs and Nasrullokhon Abduvaliev. In total, he persuaded 28 people to go to Syria in 2017. The investigation established that abovementioned people, after succumbing to Bakhodur Nasriddinov’s persuasion, left Tajikistan for Kazakhstan first, and afterwards flew to Turkey. Having lived in Kazakhstan for 2 months, and another 4 months in Turkey, 19 family members crossed the Turkish border in three minibuses around the end of June 2017, aiming to participate in war in Syria. Only the third minibus with 9 people was detained by the security forces of Turkey and in February 2018 they were sent back to Tajikistan via Azerbaijan and Kazakhstan. Two more minibuses managed to pass the border. 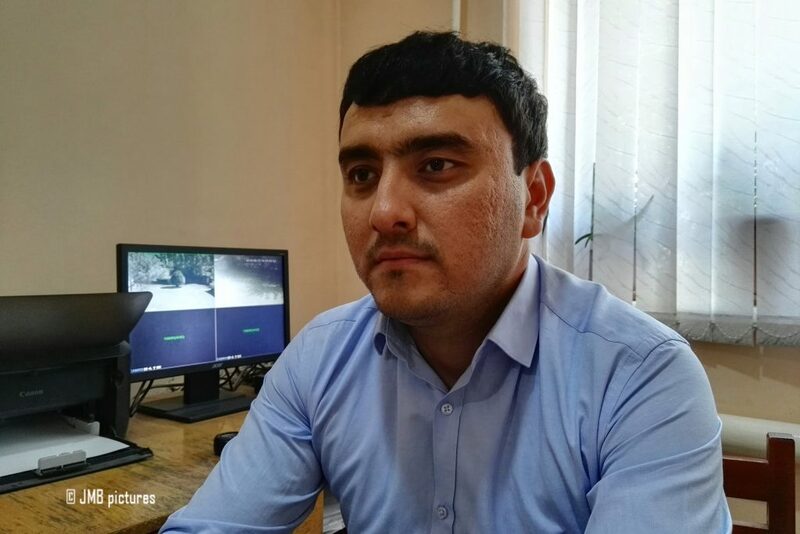 A criminal case against Bakhodur Nasriddinov was initiated under 3 articles of the Criminal Code – “Participation in a criminal community (criminal organization)” (187, part 2), “Organizing the work of an extremist organization” (3073, part 2), “Illegal recruitment and participation in armed units, armed conflict or military actions on the territory of other states” (4011). Other six people were found guilty under articles 32, part 3 – “Attempted crime” and 4011 – “Illegal recruitment and participation in armed units, armed conflict or military actions on the territory of other states”. During the trial, the defendants stated that their religious freedoms were limited in their homeland, in particular, in matters of wearing religious clothes. However, Dilmurod Azizov, the chief specialist on the religion of the rural jamoat Navgilem, said that despite the statements of this family’s members about restriction their religious freedoms, conversations with their neighbors and fellow villagers showed that this family was not particularly religious and no one put a pressure on them. Azizov notes that this is the first case when such a large number of people from one family leaves the country. Azimov considers the poor economic conditions and labor migration as the main factors of radicalization of the Isfara population. He also paid attention to the unwariness and carelessness of parents to their children. The local expert Obidboy Akhmadov during one of the conversations said that the administration of Isfara and law enforcement agencies are busy preventing young people from joining the radical movements. He considers labor migration as the main factor of the radicalization of Isfara youth. “The majority of youth going to labor migration neither speak Russian language nor have a certain specialty. Taking advantage of this, certain groups offer them accommodation and money. After a couple of months, you find out that these guys are being sold to Syria and other vulnerable regions of the world”, he says. In addition, Akhmadov expressed concerns over the low level of religious literacy among young people. Navgilem is not the only Isfara jamoat where many people become “jihadists”. 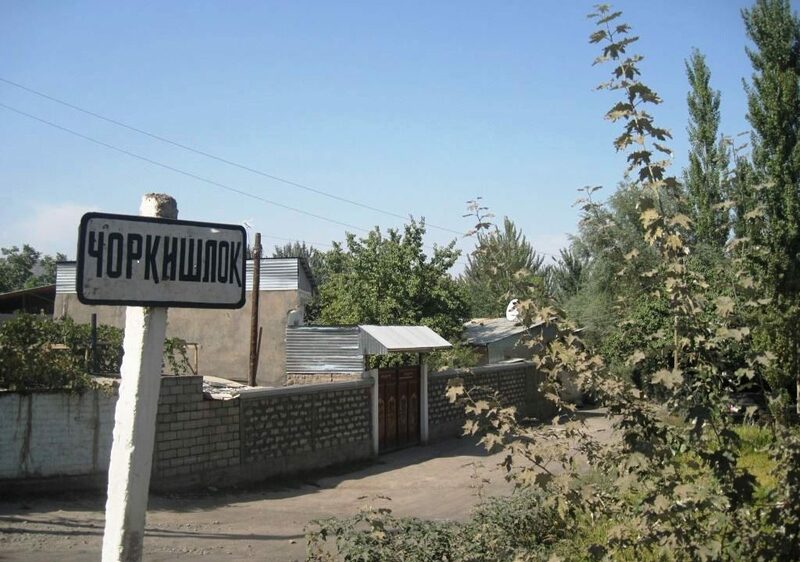 In 2014, there was news about 20 residents of the distant village of Chorkishlok of same region who went to Syria to commit “jihad”. Some of them also went there with their families, and this has repeatedly put this region to the top news of the country. Meanwhile, some residents of these two villages consider their fellows fighting in Syria to be “lost” people who go there having no idea about the true state of affairs in that country, and due to ignorance of their religion norms. Today, the Isfara authorities and the active residents of these two villages are striving to return their fellows from Syria. Khoji Ibodullo Kalonzoda, a well-known Tajik religious leader, on a phone conversation with us on young people joining to various extremist groups, said that it is necessary to raise the legal and religious literacy of the youth. When there are concerns in the family about their children joining the radical movements, parents should strengthen the process of family mentoring. “Even at school or college age, parents should simply explain the position of our madhhab to their children. In addition, every time talking with children on the phone, parents should warn them not to fall for radicals’ tricks for money, because the young people in other cities and countries are outside their parents control”, he said. Additionally, a subject of “Religious Ethics” is necessary to be taught in schools and universities of the country, the theologian believes. This also can become a method of preventing youth from joining various extremist groups. According to Mansurkhoja Bafoyev, head of the department of religious affairs and regulations of national traditions and rituals of Isfara, people today basically do not read books and magazines, and spend every free minute on the Internet. However, Ashurboy Sodiqzoda, the head of the Investigation Department of the Ministry of Internal Affairs Office in Sughd Region, does not agree that the main factors of involvement in extremist movements are social networks and economic situation. According to him, most people join various radical and extremist movements during labor migration and due to ignorance of Islamic rules. An analysis of the situation by this agency showed, young people in general are recruited into radical groups while they are in labor migration. “Today we are distributing among our citizens who are going to labor migration, a special printed programs indicating the rules of staying in a foreign country, how to stay alert, as well as information with addresses and hotlines, so every migrant worker can contact us directly in necessity,” Sodiqzoda added. According to him, it is necessary to encourage young people to follow the right path. “We have to show them what is right and what is wrong, particularly in the current conditions. If active citizens cooperate, all these problems will be solved,” he said. During an annual press conference on February 2, the Ministry of Internal Affairs Office in Sughd Region reported that 630 residents of Sughd Region are suspected of crimes of a terrorist and extremist nature. Mashraf Istamzoda, head of the Criminal Investigation Department of the Ministry of Internal Affairs Office, said that 1041 people are wanted in general. 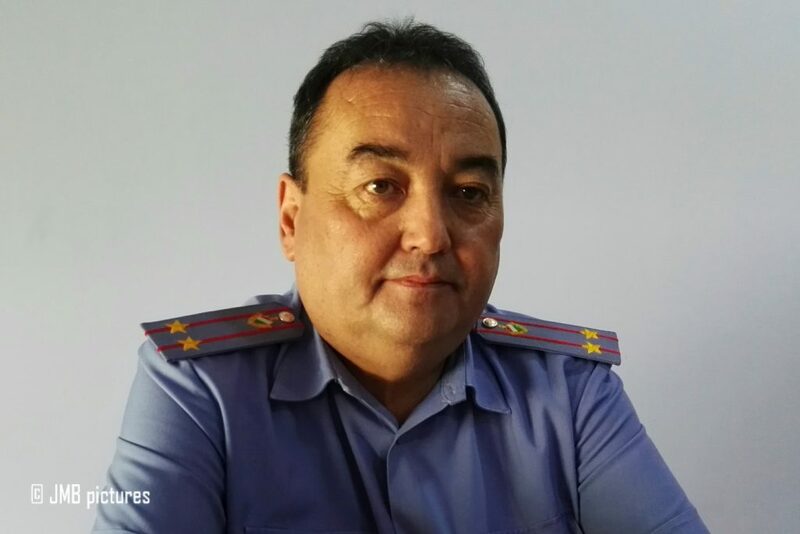 Kudratullo Nazarzoda, head of the Ministry of Internal Affairs Office in Sughd region, said that, as a result of the explanatory works for parents and relatives, 34 people voluntarily came to the departments of the Ministry of Internal Affairs in their cities and districts. Mr. Nazarzoda named 7 vulnerable cities and districts of the north of the country whose residents most of all join radical groups; these are Istaravshan, Isfara, Panjakent, Khujand, Spitamen, B. Ghafurov and Asht. 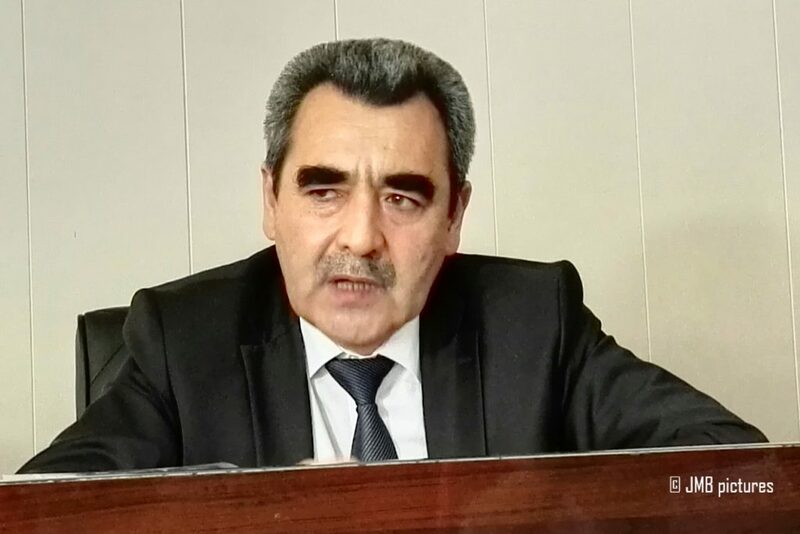 According to Bakhtiyor Okilzoda, Chairman of Sughd regional Court, in 6 months of this year, the courts of cities and districts of the region proceeded 96 criminal cases against 123 people on charges of terrorist and extremist crimes, who eventually received various terms of imprisonment. He noted that in comparison with 6 months of 2017, these figures have decreased from 107 criminal cases against 135 people, to the current numbers. “I believe that citizens, whose verdicts connected with membership in radical groups have already been announced, were mostly victims of those who took advantage of their youth. Those working abroad become members of such groups there,” added Okilzoda. The Prosecutor General’s Office of Tajikistan reported that the majority of the country’s citizens, who had gone to war in Iraq and Syria, died. The departure of our country’s citizens to the war-torn regions of the Middle East began in 2013, as reported. During a press conference in Dushanbe on July 17, Abdulhair Abdulhasaniyon, a representative of this department, said: “Up to date, 470 Tajik militants have been killed in Afghanistan, Syria and Iraq”. According to him, more than 450 other militants from Tajikistan stay in foreign prisons. According to official statistics of Tajikistan, more than 1000 citizens of our country joined IS (banned in Tajikistan) in Syria, Iraq and other countries. Isfara is a district in northern Tajikistan, bordering Kyrgyzstan and Uzbekistan, which law enforcement agencies call as one of the most vulnerable due to the high level of religious commitment of its population. Some experts believe that its inhabitants’ joining to radical movements is their reaction to the “restriction of religious freedoms”. A year earlier, the authorities of the Sughd region reported that 322 residents of the region are in a war in Syria, 62 of whom are from Isfara. Back in March 2016, the President of Tajikistan, expressing concerns about the level of radicalization of Isfara youth, demanded that the local authorities “sharply intensify the fight against radical forces”. According to the official website of the President of Tajikistan Emomali Rahmon, during his speech at a meeting with the Isfara residents, said that “these unflattering actions cause serious damage to the dignity of the people of the ancient city of Isfara and the spread of this trend should, as soon as possible, be stopped”. Further in his speech, the President of the country noted the importance of a unified approach of the school and family, government bodies and society, in particular experienced and respected people in protecting the young generation from the impact of “all ideas and radical groups alien to us”. He told, “In this process, it is important that all society members stay wary”. This journalistic investigation was carried out in collaboration with the Office of the Institute for War and Peace Reporting (IWPR) in Tajikistan under the project “Empowering Community Voices: Combatting Radicalization in Tajikistan”.